Cloud Foundry sponsored this podcast. 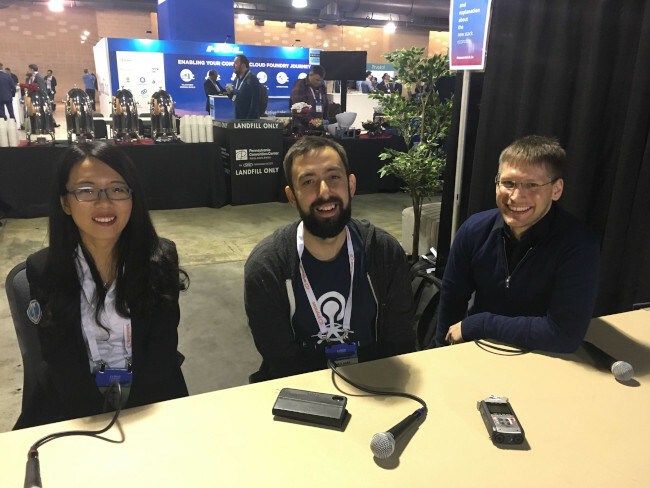 A major theme at Cloud Foundry Summit North America last week in Philadelphia was interoperability and its importance to Cloud Foundry — as the core functional tests validating Cloud Foundry Application Runtime releases for Project Eirini begin. Julian Friedman, Cloud Foundry project lead, IBM. As part of Cloud Foundry’s continued push to improve interoperability, Eirini was created with this goal in mind for scheduling for the Cloud Foundry Application Runtime. As Cloud Foundry notes, organizations can choose to adopt Diego/Garden or Kubernetes to orchestrate to application container instances. The Cloud Foundry Foundation is an independent non-profit organization formed to sustain the development, promotion and adoption of Cloud Foundry as the industry standard platform for cloud applications. Cloud Foundry makes it faster and easier to build, test, deploy and scale applications. 1:52: How the Eirini is a step forward. 4:22: Benefits of open source environments. 11:10: Cloud Foundry versus other cloud-native technologies. 20:26: Evolution of those abstractions.